What does it take to be an influential person on the internet in 2018? While it may take more than just great social media skills, being an influencer – whether positive or negative – is all about global impact with an emphasis on one target message. With an overall ability to drive traffic and newsworthy buzz to online outlets across the globe, these influencers have somehow managed to garner cult followings with their activism, music, and ideas. Whether you love them or love to hate them, these top influential people on the internet in 2018 have something worth observing. Even though she deleted her social media accounts last year, Taylor Swift was highly influential online in 2018. 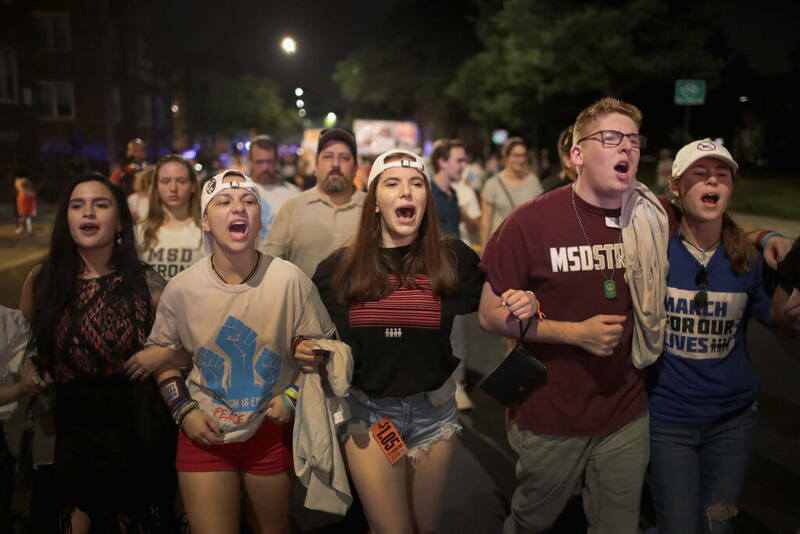 After the horrific events in February 2018 at Marjory Stoneman Douglas High School in Parkland, Florida where 17 students and faculty members were senselessly killed in a shooting, student survivors have become the voice of a nation. Emerging as some of America’s fiercest and loudest voices for gun control, the young activists — Jaclyn Corin, Emma Gonzalez, David Hogg, Cameron Kasky, Alex Wind and more — exercised their influence on Twitter, challenging the NRA while urging followers to hold elected officials accountable. This past March, the teens used social media to rally for new gun control laws at the historic March For Our Lives in Washington D.C.